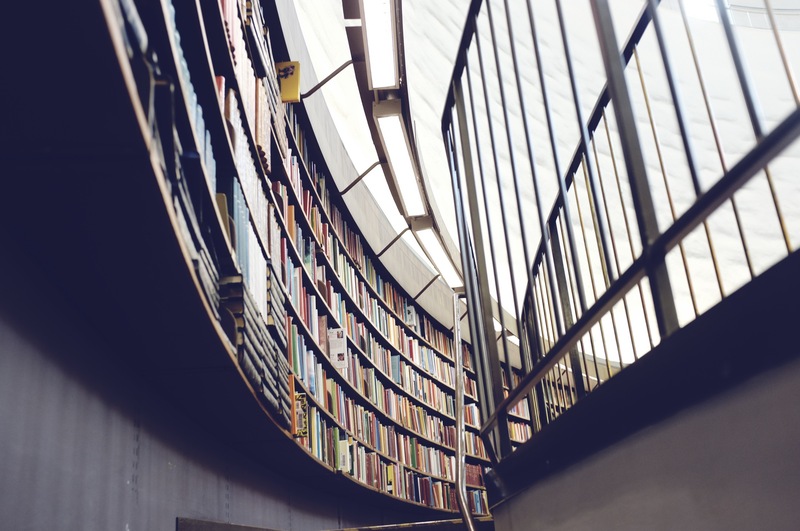 Publishing has been going through major upheaval, thanks to technology, and the innovations and experiments keep on coming. 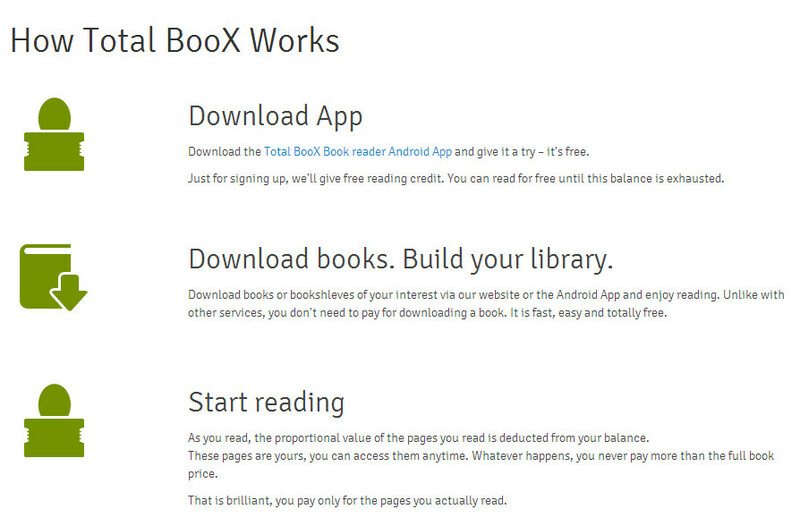 One of the newer concepts in the e-book market is brought by Total Boox who is offering a new pay as you go model. Total Boox builds up on the “sampling” and “read an excerpt” concept and thinks of the “buy first, read later” nature of the book business a “burdensome remnant from the world of printed books.” Founder Yoav Lorch believes the freedom to pay as you go will encourage readers to try out more books without having to shell out a lot of cash upfront. Total Boox is basically a free app that you download on your tablet or phone, that has bookshelves that store the titles, creating a personal library. However, the prices of books will range from zero to the full price. Instead of paying the full price during download, readers pay only after they start reading and only for the portion of the book they read. Their accounts are subsequently billed based on the number of pages read. For example, if I were to download a $5 book, and I never get around to reading it, I pay zilch. If I read 10% of the book, I pay 50cents. And, if I finish the book, I pay the full price, and I own it and can access it anytime. Also, if I leave the book unfinished at 10%, I am allowed lifetime access to those 10% pages that I have paid for. The app is also designed to recognize page-flipping, so readers are not charged for browsing, and a reader can start reading at any page. The following inforgraphic from Total Boox gives a snapshot of how it works. Given most books on the e-bookstores are already available with generous sampling options, I am not seeing how Total Boox fits in a direct to consumer model. What’s the benefit of TotalBoox over any other store? 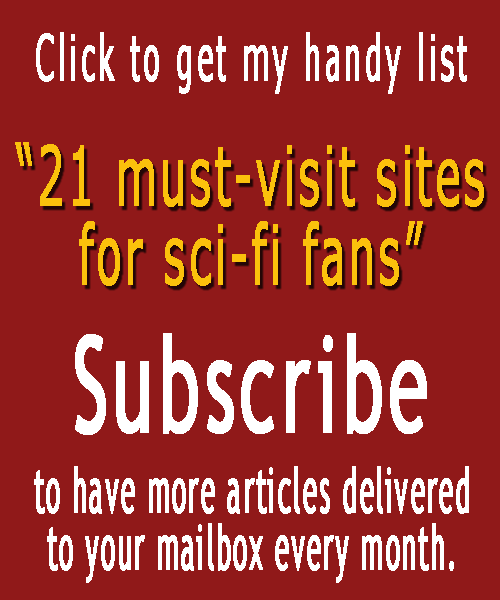 Sure, readers can sample books at any page, and read more pages than the sample allows. But still, would I sign up for yet another account for that? I, personally, don’t see a convert in me. That being said, this application might be well suited for public libraries, specifically with textbooks, where limited page access fits in well. Which is where Total Boox seems to be heading towards with its library outreach initiative. It is now available in library systems in New York, Connecticut, Maryland, Tennessee, Texas, Colorado, and Kansas. Total Boox has also signed agreements with several publishers including the Workman Publishing Company and all of its imprints, New World Library, Riptide Publishing, ECW Press, Rourke Educational Media, Packt Publishing, Parkstone Publishing, In This Together Media, FarBeyond Publishing, and Independent Publishers Group. It will be interesting to see how Total Boox fares in the e-book revolution. What do you think?